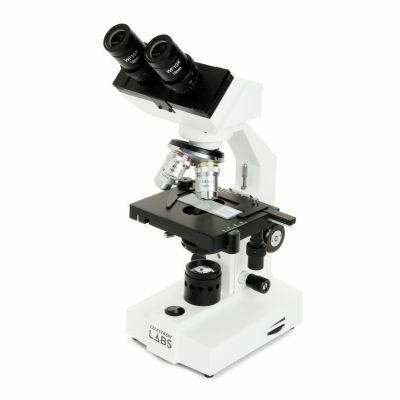 The Celestron Labs CB2000C Binocular Compound Microscope offers all the advanced features you’re looking for. With 10x and 20x eyepieces and 4 included objective lenses (4x, 10x, 40x and 100x), you’ll achieve magnification ranging from 40x to 2000x. Improve the quality of your magnified images with the included 3 colored filters. The 10 included prepared slides guarantee exciting discoveries right out of the box.